Few things are more creepy and beautiful than an abandoned building – even fewer are more so than an abandoned settlement. But abandoned cities trump both of them. An entire city that has been left behind as humans move somewhere else, now that’s an interesting thing. There are not many abandoned cities. The city might be the greatest human creation, as it within these cities that great ideas are born, and where economies are pushed into growth. There is an actual formula for the amount of good ideas that emerge from cities. A city ten times as big as another, will see 50 times the amount of good ideas emerge from it. So to see a city become abandoned is a big deal. 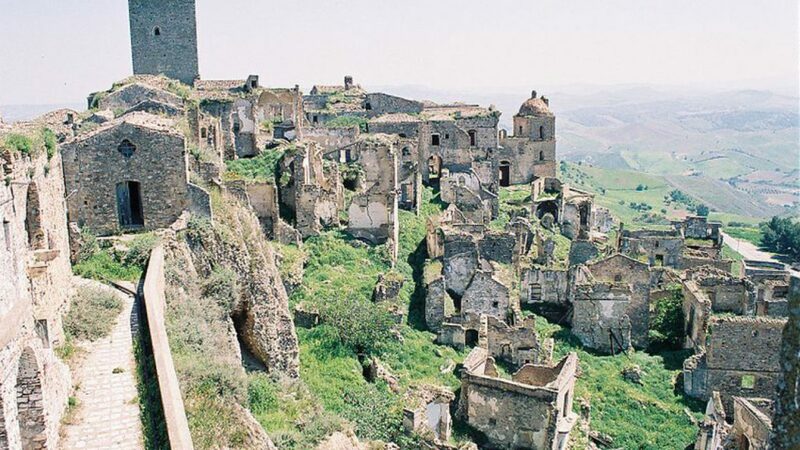 Here are ten Incredible Abandoned Cities. Montserrat is a small British overseas territory. 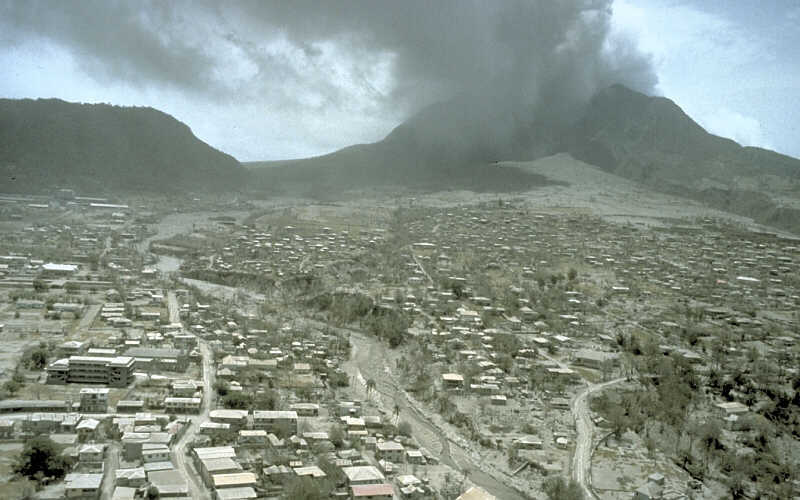 The former capital city of Montserrat is now completely abandoned. The city of Plymouth had a population of around 4 thousand people until the area was evacuated in the 1990s. It was due to a nearby volcano. Much of the city was ruined by the eruption, but much of it still stands. A new capital city is currently under construction. It’s called Little Bay. Two thirds of the island’s population escaped to Great Britain, and most never returned. Plymouth is still technically the capital city of Montserrat, making it the only abandoned capital city on the globe. Kayakoy was abandoned in 1922. It was traditionally home to a population of Greek Christians, but they left Turkey at the end of the Greco-Turkish war. The war caused a lot of persecution of Greek people within Turkey, so it made sense for them to leave. As a result, the city has been completely abandoned since. 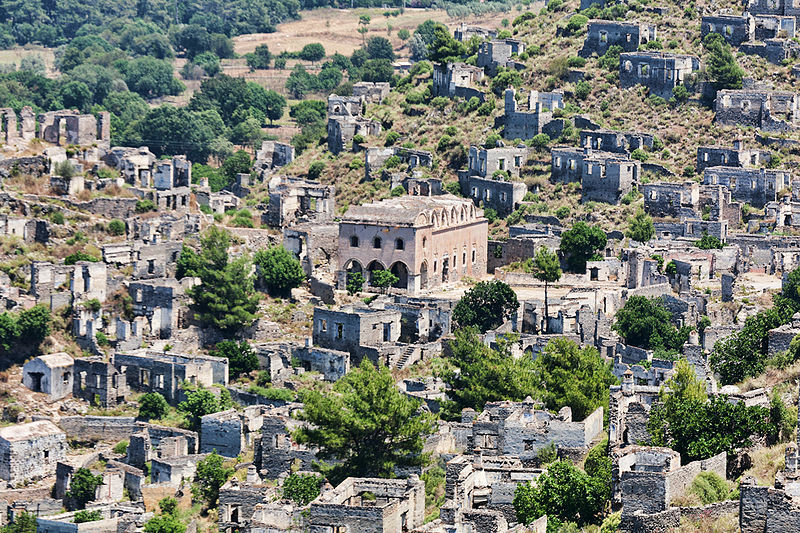 Kayakoy was built upon the ancient city of Lebessus, but it’s unknown when either city was actually built. Kayakoy has since become a tourist attraction. The only people you’ll see in the city are foreigners and tour guides. There are plans to restore the city and the hope that some people will relocate there. Since 1974, the island of Cyprus has been split in half. The southern half is the Republic of Cyprus, and the Northern half is the republic of Northern Cyprus. Only the republic of Cyprus is recognized internationally, and there is a UN buffer zone between the two nations. 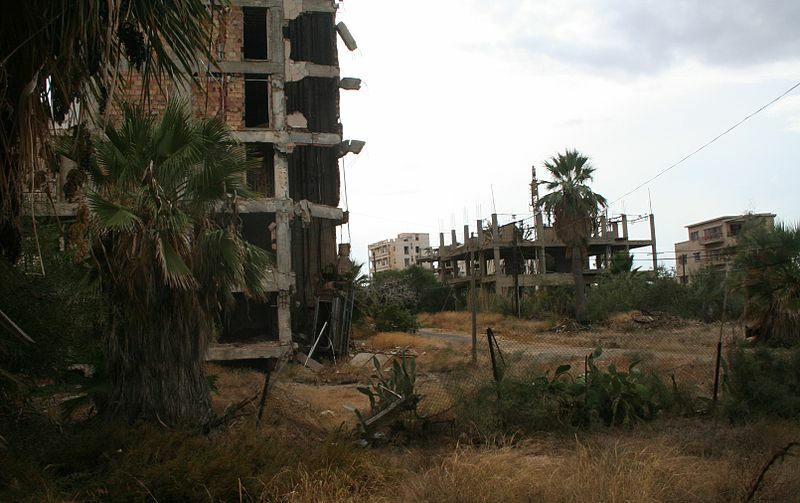 In the middle of the buffer zone is the city known as Varosha. So the people of Varosha fled the city when it fell under Turkish control. Since then, no one has returned. You aren’t allowed to enter the city. And it’s certainly not a safe place to live. It’s just there, a ghost city in-between two countries. Deep in the Namib Desert is the old colonial German settlement called Kolmanskop. When Namibia was part of the German empire, Kolmanskop was founded after diamonds were discovered in the area. After the diamond mining business left the city, so did the people. There’s really no reason to live that deep in the African desert. It was abandoned in 1954, and has be preserved by the desert conditions. 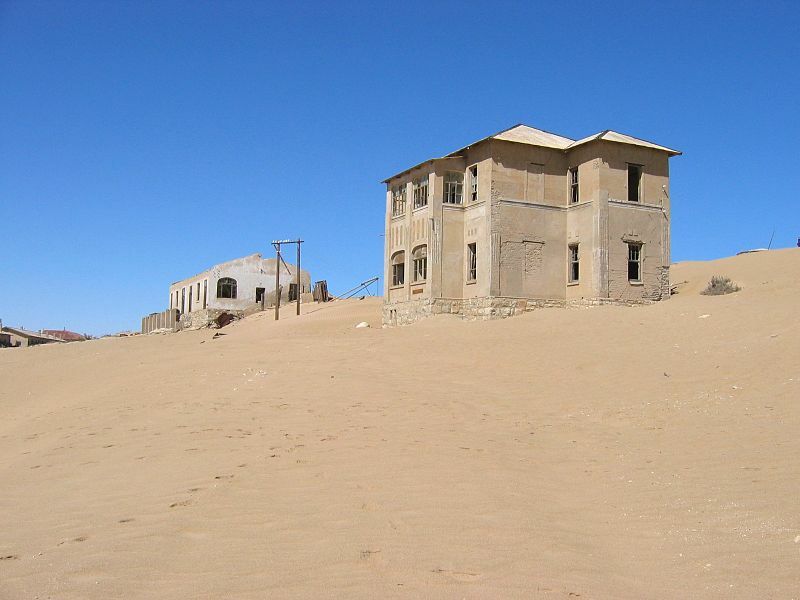 So now there’s just a creepy abandoned 20th century colonial city in the middle of the Namib Desert. It’s only purpose these days is to serve as a tourist destination, just like so many other abandoned cities. 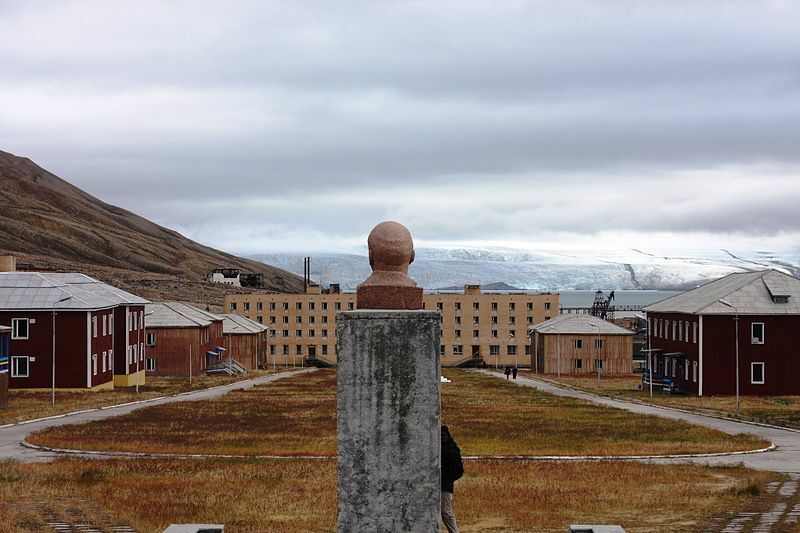 Pyramiden is a small settlement is Norway’s island territory of Svalbard. The territory once belonged to Sweden. Sweden sold Pyramiden to the Soviet Union in 1927. It soon rose as a coal mining area, and operated through the Soviet Union’s existence. It was only shut down in 1998, and was then abandoned as it had no industry. The main buildings still stand in Pyramiden, and experts predict they will be visible for several hundred years due to the local conditions. So if you think it’s impressive to see an abandoned Soviet mining settlement today, just think what it will be like 500 years from now. Hallsands is an abandoned village on the Southern coast of England. Much is unknown about the history of Hallsands, but there were some buildings there in the 16th century. Being so long ago, erosion has eaten away at the coastline, biting ever closer to the village. This left Hallsands open to the threat of storms and flooding, causing great damage to the city. 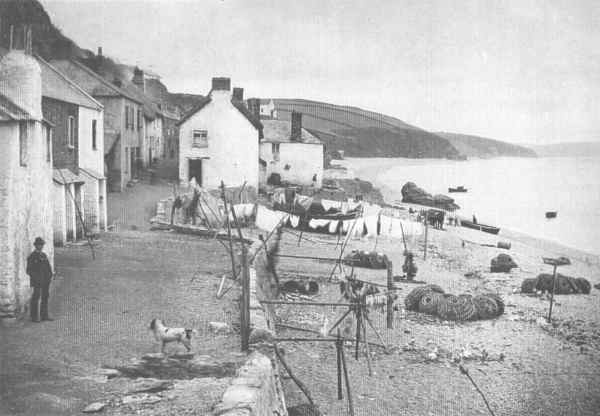 The damage was enough to cause most people to abandon Hallsands by the year 1917. Just one house remained by the end of that year. Hallsands has now long been devoid of human life. But much of the buildings remain. They don’t stand strong, as the sea is constantly encroaching further onto it. 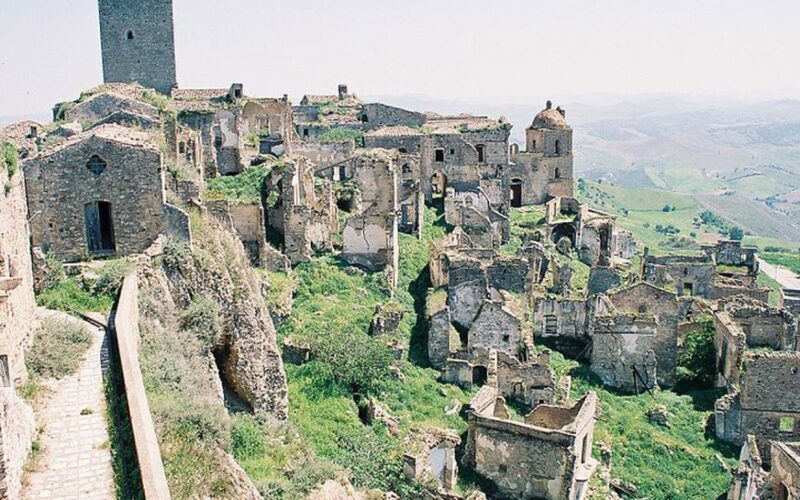 Craco, in Italy, was has been empty since the 1960s. There is a lot of history to Craco. It’s land has been inhabited since the 6th century AD. The people who lived there were actually Greek. Craco thrived in the 19th century, and has traditionally been fought over by different monarchs. Modern landslides caused most of it’s people to abandon the settlement by the 1960s, and it was completely abandoned in the 1980s. The final death blow was dealt by the 1980 Earthquake, which had a magnitude of 6.9. Several thousands were left dead or injured. So I don’t think anyone is going to move back to Craco, bearing in mind it’s prone to earthquakes and landslides. 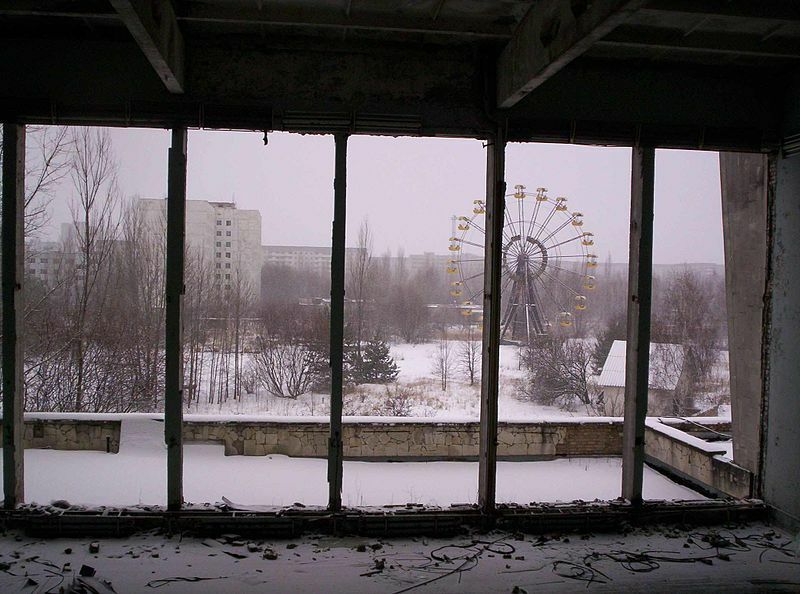 Pripyat is the city which was evacuated due to the Chernobyl disaster. That was when a local nuclear power plant went into meltdown. The disaster almost destroyed half of Europe, but that was prevented. The city of Pripyat was, and still is, far too radioactive for anyone to live in. So it was completely abandoned. The city is still there in Ukraine, a slowly decaying relic to the Soviet Union. There are reports that giant mutant animals now live in Pripyat as a result of the radiation. The population of Pripyat was almost 50 thousand before the disaster struck in 1986. You are able to visit the city. But you do so at your own risk, as the radiation is still dangerous. Centralia is a ghost city in Pennsylvania. It was a happy and normal settlement until recently. The area has been gradually abandoned since the early 1960s. This is because of a huge fire that has been raging in the coal mine system underneath the town. It is still burning due to the gas inside the system, and will continue to burn for another 250 years, at least that’s what estimates predict. The problem is that the fire has melted much of the roads within Centralia, which is obviously dangerous. It has caused several people’s deaths and damage to countless buildings. So it makes sense that people left. You can visit the city but I would strongly advice against it. It may not be entirely fair to include Detroit on a list of abandoned cities as Detroit hasn’t been completely abandoned. But large areas of the city have been abandoned. Some of these areas are large enough to be called separate cities themselves. 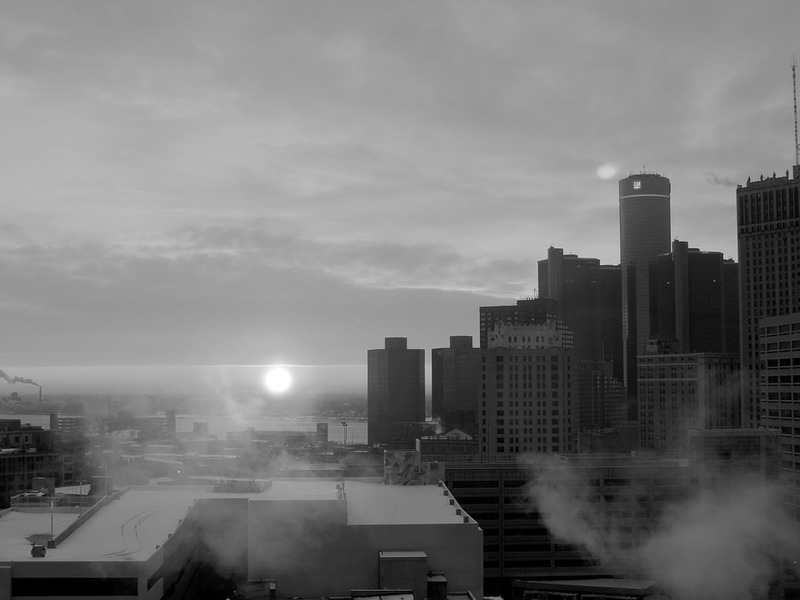 People have been leaving Detroit since the auto car production industry started to decline. Pretty much the entire local economy relied on the car business. These days it’s just a crime-ridden mess. A few years ago the city of Detroit filed for bankruptcy, in the biggest case in American history.